Day four of our study trip started off nicely with a bright sun and a temperature similar to what we usually only experience during the summer months in Switzerland. 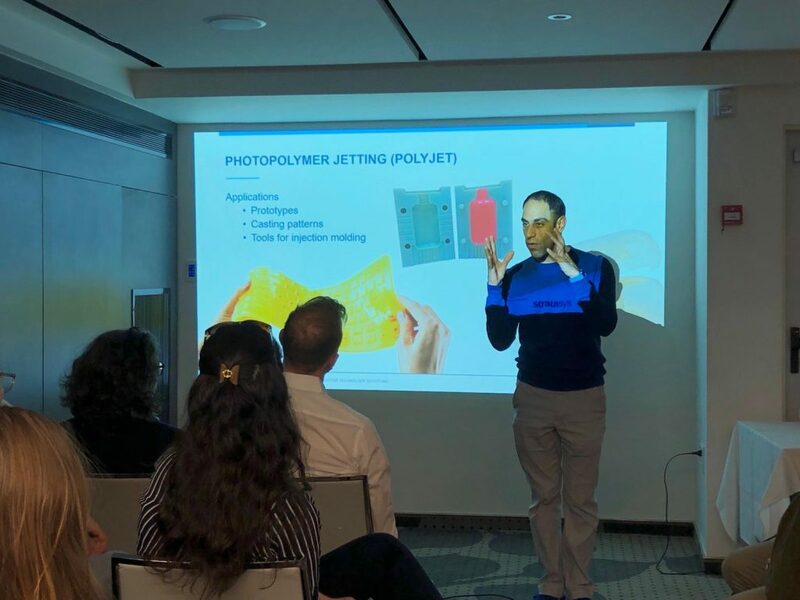 The very first item on today’s agenda did not require us to embark on a long journey, since we were given the opportunity to enjoy a highly interesting and insightful lecture by Ohad Meyuhas from the company Stratasys on 3D-printing in a conference room at our hotel. During his lecture, Ohad not only told us facts about the firm and the various processes that can be used to print objects, but also gave interesting anecdotes about how a frog inspired the creation of 3D-printing or even how Minnesota is not a pleasurable place to go to. In a subsequent Q&A session, we were then able to ask Ohad our various questions regarding 3D-printing and related subjects. After the lecture on the highly promising technology, we boarded our bus in order to leave for the Museum of the Jewish People. 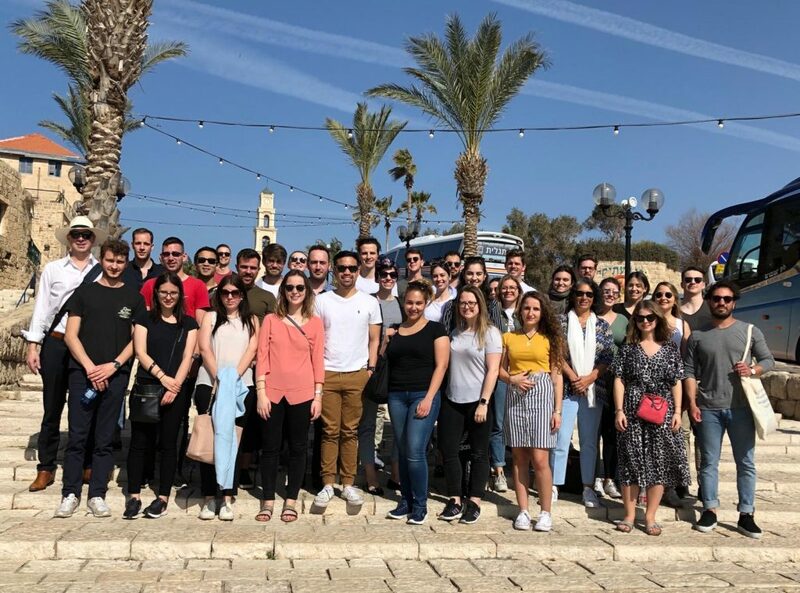 As we have learned from our lecturer Dr. Leslie Broudo-Mitts during our visit at the Tel Aviv University, one of the major reasons why Israel is considered a start-up nation with great companies and entrepreneurial spirit is that people are able to adapt to changes quickly. Our flexibility was tested as well when our dear bus driver Hagi informed us about a power outage at the museum and therefore our planned museum tour was now cancelled. Inspired by the Israeli can-do attitude and high degree of adaptability, we quickly changed plans and decided to instead spend the afternoon in the old city of Tel Aviv, Jaffa. Luckily, our bus driver turned out to be an exceptional tour guide as well. 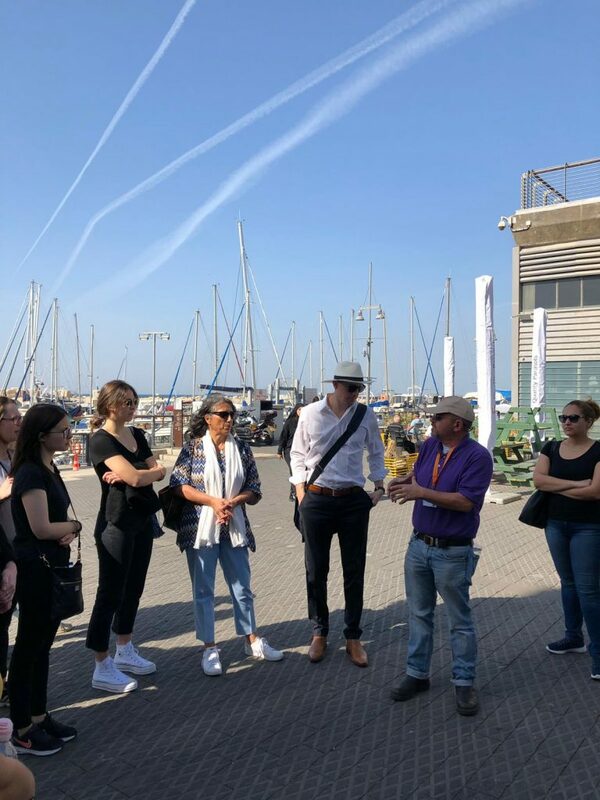 Hagi led us from the historic port of Jaffa through an artistic village over a wishing bridge to a view point providing us with a beautiful view of Tel Aviv, all while sharing interesting facts and stories about the city’s history. We were also able to fully indulge in Middle Eastern delicacies in Jaffa due to the old city being filled with small, vibrant cafes and restaurants offering various tasty dishes such as Falafel or Shawarma. 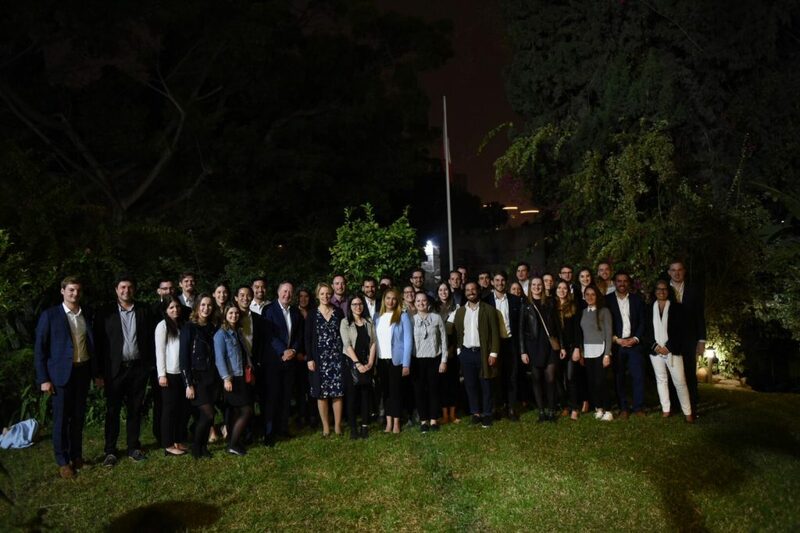 In the evening, we were honored to be received at the residence of the ambassador of Switzerland in Israel. Upon our arrival, we were greeted by several members of the team at the embassy as well as refreshing beverages and tasty finger food. Following the reception, a presentation was held by Anna-Lise Cattin Hennin, the Deputy Head of Mission, as well as by David Biegeleisen, who is the Innovation Advisor at the embassy. Topics such as the political system of Israel as well as the country’s challenges and opportunities were addressed, including the role of Switzerland in all those aspects. 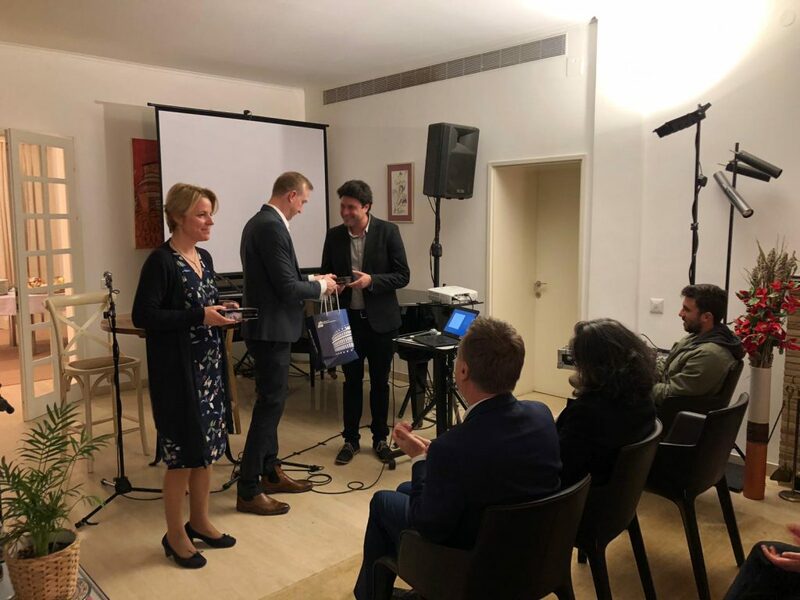 The presentation also offered us new insights into the specific tasks embassy staff fulfils, such as planning and coordinating events involving Swiss and Israeli companies for an intercultural exchange. After, we were given the opportunity to ask questions, followed by a delicious dinner and interesting conversations with the embassy members. It was an exciting day with some unexpected turns but a lot of new insights gained and experiences made. Today marks the half-time of our study trip, and we hope it continues to be as amazing as it has been so far! We would also like to take this opportunity to thank Ruedi Büchi from Switzerland Global Enterprise, who helped organize major parts of the program of our study trip and happily joined us for multiple activities. This entry was posted in IM Study Trip 2019 by schneidercorinne. Bookmark the permalink.